With the launch of the Goods and Services Tax (GST) taking centre stage, Videocon Telecom CEO Arvind Bali while hailing the same as a 'blessing' said it will eliminate the chances of manipulation with regards to varying rates of Value Added Tax (VAT). "The GST is a blessing to the industry, since it will bring in some uniformity in taxation across the country. There can't be anything better that we can expect. States were putting up their own taxations slabs, because of which our distribution channels and traders also indulged in manipulation. With the GST coming in, these will be stories of the past," Bali told ANI. The company, which has now forayed into the surveillance sector with the launch of their new range of 'Make in India' CCTV camera range 'WallCam', is looking to emerge on top of the market, with high-end technology-enabled solutions such as face recognition in video surveillance. In addition to basic video surveillance products such as AHD (Analogue high definition), IP (Internet Protocol ) and wireless cameras, video-door phones and intrusion alarms, the brand will also offer customised security solutions to institutional, corporate and government sector including PTZ (Pan, Tilt and Zoom) and vandal proof cameras, mobile vehicle cameras, access control systems, scanners and detectors, number plate reader solution, central monitoring system, boom barriers, X-Ray baggage inspection system and cloud storage with secure remote access. The products are being manufactured in various pockets of India, with Chandigarh being the IT hub for the company. Manufacturing units have also been set up in Pune and other cities. "Most of our investment comes from internal resources, and is channelised into marketing, manufacturing and retail. Our network is spread across print and digital media campaigns, and we will be using both online and offline retail modes for sales. However, the product line for the two will vary," said Bali. Among its customers, Videocon will also be supplying devices to various public sector enterprises in order to enhance their surveillance product line. "The time has gone for us to take funding from the government. However, we will be supplying to the government and catering to their needs," he added. The firm is also looking to further strengthen their hold in the broadband sector, with wireless broadband, FTTH, and other technologies being provided to their customers, apart from GSM services. "Penetration of fixed line services has been the lowest in India. World over, there still exists fixed line phones. However, India directly migrated to wireless. In the foreseeable future, I think in India too, people would like to have a broadband line to their phones," said Bali. 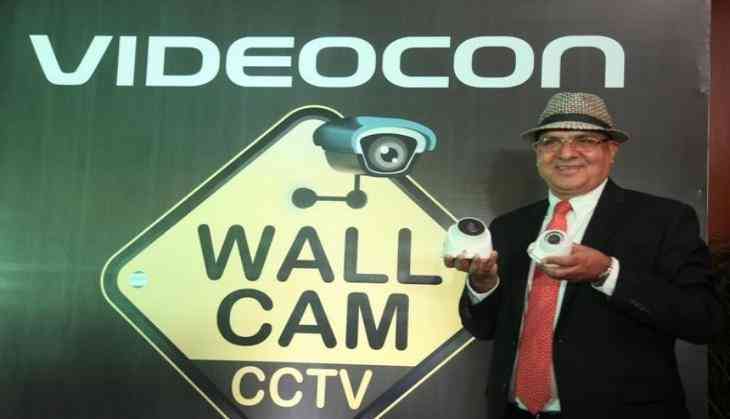 With the launch of its own brand, Videocon WallCam is eyeing 15 percent of the organised player market share by the end of FY 2019, and aims to be among the top three players in the category by 2021.